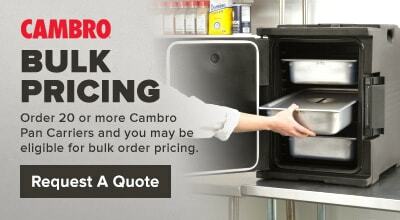 Keep hot food hot or cold food cold for up to 4 hours with the tan Cambro Camcarrier 100MPC157 pan carrier with handles! This top loading food pan carrier holds up to three, 2 1/2" deep full size food pans for easy transport to your next catered event. 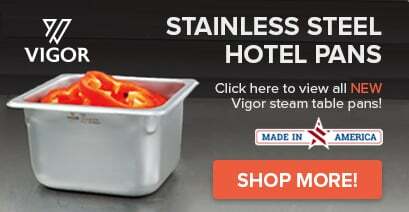 A built-in vent channel on the underside of the lid will equalize pressure and steam. Polyurethane insulation and an airtight gasket combine to ensure excellent food quality and temperature retention. 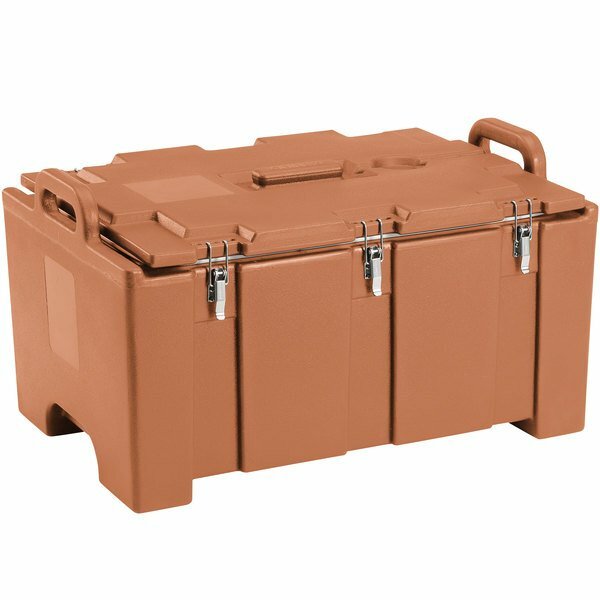 Six sturdy plastic latches and molded-in top handles close securely and enable easy transport.